As we begin a new homeschool year (or continue our year for those who homeschool year-round), it can be tempting to feel like we need to be perfect. The truth is, though, that none of us is perfect! Our job is to simply do the best we can with and for our children. 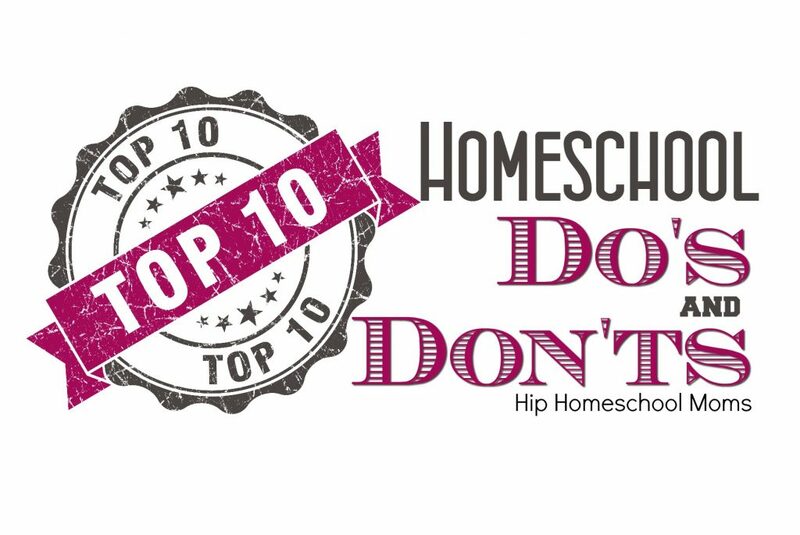 I put together a list of 10 homeschool do’s and don’ts that many of us who homeschool might do well to keep in mind throughout the year. I hope it encourages you! 1. Don’t feel like a failure if you have to ask for help! It’s ok to ask for help and support when you need it. If you don’t have a local homeschool support group or local homeschooling friends, we’re here for you! 2. Don’t worry about messing up! We all mess up. I used to be a school teacher, and you know what? School teachers mess up too! Don’t feel like you can’t do as good a job as a school teacher because you can! Even the very best school teacher doesn’t have one advantage that you have. You are teaching your own child, so you are much more concerned with the outcome than even the best school teacher could be. 3. Don’t be fooled into thinking that a public or private school education doesn’t have “gaps.” There is no way any school in the world–no matter how good a school it is–can possibly teach your child every single thing there is to learn! 4. Don’t worry that you aren’t teaching your child what he or she needs to know. The people who decide what public and private school students should learn are human beings just like you! They, just like you, simply must use their own best judgment about what school children should be taught. There is no “perfect magic formula” that fits all children. Teaching your children according to their own learning styles and interests is much better than the school system’s “one-size-fits-all” approach. They cannot have the flexibility and freedom that you have because they have so very many children to teach, and it would be impossible to fit a public or private school education to every single child in the school. You, however, can do exactly that! So go with it! 5. Don’t feel like you must do school the way they do at public or private schools. Sure we have interruptions when we homeschool. Sometimes things don’t go as planned. Sometimes we don’t get every subject finished every single day. But ya know what? When our children grow up, get married, have their own jobs and their own children, they will face interruptions and setbacks just like we do now. It’s ok. They’ll know how to deal with it as adults because we’ve shown them how to do it as children. So don’t worry about interruptions! Consider it to be training for real life–because it is! 6. Do give yourself credit for what you’re doing well and for what you’re doing right! There’s no need to feel guilty or worry that you’re ruining your children by homeschooling and not being perfect at it. God gave your children to you because you are the best mom (or dad!) for those kids! If you obey Him, He’ll take care of the outcome! 7. Do spend time having fun with your children. Don’t make the mistake that I made when I first began homeschooling over 16 years ago. I was too strict and too structured. I didn’t put enough fun into our school day, and I didn’t include enough love and relationship in my days with my children. I thought school had to be “formal” and that there was no time for “goofing around.” I now know that it’s ok to take time for relationship building and for loving our children. In fact, I think homeschooling is just as important because of the opportunities it gives us to build loving relationships with our children as it is for providing our children with a good education. 8. Do tell your children what they do well! If you only point out mistakes your children make without ever stopping to compliment them on what they’re doing well, your children may not enjoy school and may dread it! While it’s wise not to praise so much that your children think they’re perfect, it’s a very good idea to point out what they’re doing well and to make sure they feel successful when they’ve done a good job on something. 9. Do take a day off now and then just for fun, for a field trip, or for a play day. We often do school 4 days a week instead of 5 because my sister and her children come over one day each week just to get together and visit and have fun. That means we must do a little bit more work on the other 4 days, but it’s totally worth it to have a day of fun each week! 10. Do make your husband a part of your homeschool if possible. If you can have your children recite poetry, read a story that he or she wrote, or show off an art project to Dad when he gets home from work, then be sure to encourage that! It will help him know what’s going on in your homeschool, and it may cause him to be more encouraging and supportive of what you do too. And it gives your children an opportunity to practice giving a speech, presenting a project, or even reading in front of an “audience” that won’t be too critical! Just starting homeschooling? Check out these 10 tips for talking to your husband about homeschooling. Looking for additional resources? Check out these books! Looking for other articles about homeschooling? Try these! So what “do’s or don’ts” would you add to this list? Do you have tips or ideas to share? Please tell us in the comments! I just wanted to say thank you for writing this post. I am Homeschooling for the first time this year, my son is 5 and we are starting Kindergarten. I know it is the right choice for us, but as we start I have had moments where I’m not as confident in myself, afraid I wont be “perfect”. So reading your post this morning gives me a fresh outlook and the confidence I had when I first made the decision to Homeschool 🙂 Thanks! Thank you! I really needed that this morning. I lost two months of my life this summer helping out with a family illness several states away. The time away negatively impacted me in many ways. My reward for that sacrifice has been overwhelming anxiety and a deep sense of failure at home. I typically don’t stress over homeschooling like I have been. Often I’m the encourager, not the one who needs encouragement. Anne-Marie, I’m so glad to have helped encourage you! I had something like that happen to me several years ago, so I understand how you feel. I pray that you have a wonderful school year and that you do feel encouraged and not anxious or overwhelmed! These are invaluable tips. Thanks for posting them it helps even when you know some of them to be reminded 😀 Luckily my Hubba takes the evening shift when we run overtime. Otherwise I wouldn’t be able to pull this off with my 4th grader. Taking a day off is the best advice ever, we are planning on slimming it down to a 4 day week the first week of October and none of us can wait. It’ll allow us the months of May and June completely off (with the exception of online ‘game learning’ to sharpen skills). I really love number 7 and it will be me goal for this week. I should make it as a habbit and philosophy of our homeschooling. Thank you very much for great advices. Great post! Thank you for the encouragement! Coming from working in my children’s private school to our first year of Homeschool (YAY!!! ), I am so blessed to have seen these truths first hand! Those teachers had the same challenges I see at home! And the teaching experience is often how we set the example of tackling these things, just as much as HOW they’re tackled! Thanks. Just finished our very first 8 days in Kindergarten!! Needed the encouragement. As the sister mentioned in #9 (hi, Wendy!) I had to comment that our weekly visits are everyone’s favorite day of the week! 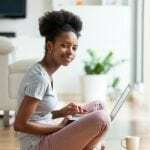 We LOVE homeschooling and I have a great relationship with my kids, but taking a little “vacation” day helps us moms to feel connected and helps the kids relax and let off a little extra energy so they are more willing and able to work harder on the other days. It is an excellent motivator, too, when kids know they will be able to take a day off to visit when and if they reach their goals on school days. It is often difficult for moms to take a break (we are used to working 24/7), but it is soooo important! Anyway, all the tips were great, Wendy, but #9 is the best! Aw, thanks, Sis!! I’m glad you liked my post, and I’m especially glad that you get to come visit us each week!! <3 It's our favorite day of the week too! Thank you so much for this! I just started homeschooling my two boys and I am so nervous! I’m reading everything I have the chance to but still so worried if I am going to be able to do this. No matter how much I remind myself I can do this because I am determined to help my boys and see them succeed there is that little feeling of worry. Grateful for the things in this article. Thanks again! Kelly, it’s not always easy to homeschool, but if you truly want to do it, you’ll do a great job!! Just be sure not to put too much pressure on yourself this first year. It may take this year to get in a groove, but you will. Just remember that the simple fact that you love your kids and want the best for them gives you a huge advantage over school teachers. Give them plenty of informational books to read and let them explore ideas that interest them as you learn about new subjects. They’ll learn so much just from doing those simple things. I pray that you have a wonderful year!! I think it’s really important to not overload your kids (and self) because it’s in the curriculum. My first year I picked this really awesome curriculum because it had EVERYTHING. Things I hadn’t even considered teaching a kindergartner and a 1st grader. There was SO much to cover every day. By the end of the year I was so overwhelmed and burnt out I was ready to ship them back to “real” school. If I could do that year over again, I would just focus on the three R’s and have fun exploring the world around us. Very good advice!! Thank you for your comment. thank you for this post. I have been thinking a lot about home school. My son is only a year old but I wanted to do some research and decided what to do. This post has encouraged me to do it! Hi Genevieve! I’m so sorry that I just now saw your comment! I somehow missed it. I think it’s great that you’re researching homeschooling far ahead of time! When the time comes, you’ll feel better prepared and hopefully won’t be quite so nervous. 🙂 As you research homeschooling, be sure to come back and let us know if you have questions or need information. That’s why we’re here! You can send us a PM on our Facebook page to be sure your question gets seen. https://www.facebook.com/hiphomeschoolmoms?ref=hl Blessings to you! I’m glad I found this post. We are researching homeschooling and curricula now, with the help of homeschooling friends, for our first year of homeschooling in the coming school year. I’m very nervous about our new adventure as I know most of this falls on me, but I’m also excited about it, too. We will have a second grader and a kindergartner… Here’s hoping that this first year goes well for all of us, especially with our 19 month old to keep occupied! Hi Angi! I’m so glad you enjoyed the article! Next week (probably Monday, April 14) I will post the first article in a series of posts for moms who are considering homeschooling. I hope you’ll come back again to the site often, and I think the series will be particularly useful to you since you plan to begin homeschooling this fall. Thanks for your comment! Hi….loved this post. I am homeschooling my 15 yr old (high functioning Autism) granddaughter. We’ve just completed our first year of homeschool. She has been through both public and private school…..always falling behind and falling through the cracks. I need help with finding a good chronological history of the world. I have come to realize that she has to have information in a straight accurate line…..and then she can learn. Jumping around with any subject wreaks havoc with her mind. Sorry….super brag moment just poured out! Back to my question…..I need this same format in world history. Do you have any suggestions? Sorry again to be sooo long! Thanks for your time. “Grammy” to a super smart little Autistic girl….oops I mean teenager! Hi Sherry! I don’t know how I missed responding to your message! I do hope you were able to find the best history curriculum for your granddaughter! I love Veritas Press self-paced history classes. They are chronological, and they are fun classes! If you’d like to take a look at them, you can do that at http://www.veritaspress.com/selfpaced/. Even though the self-paced history classes are meant for elementary-aged students, I’ve found that they’re also good for older children who may not be quite ready for “regular” high school history classes. I’m so glad you commented, and I hope you’ll come back again! Thank you for this post. I realize it’s an older post but I will be starting on the homeschool journey and I’m reading everything I can on the subject. My son is counting down the days he has left in public school. I’m excited for this new chapter in our lives yet very nervous about certain things. Testing and the state’s rules and regulations are my biggest fears. However, speaking to “seasoned”homeschool mom a few days ago she told me those are the least of my worries. Speaking to her and reading posts like this are very encouraging to me. Thanks again. Somehow I missed your comment! I apologize for just now responding to you! I’m so glad you liked the post and were encouraged by it. This post still applies even though it was written a while back, so I’m happy that you found it. I hope you’ll come back to the site again as you homeschool. We’d love to share information and support with you! I have a child who is on the autism spectrum. He has been struggling for 2 years now in school. I’m considering homeschooling him. I’m a stay at home Dad, who is going back to school myself. I have a lot of support, but am a little concerned about my ability to do it. This list helps a lot, thank you for posting. I know you are a mom homeschooling, but could we acknowledge that there are father’s that take on this responsibility? I’m not saying this to get a pat on the back, it just makes me feel sad that more people don’t realize that there are a lot of stay at home dads, and all the groups are geared primarily for moms. Just a thought. Hi Don! Yes, there are definitely more and more homeschooling dads out there now, and we think that’s great! We have had homeschooling dads guest post for us in the past, and we are happy that there are dads taking on this responsibility in some families. My autistic daughter is now 19 and has graduated from our homeschool, but homeschooling her was one of the best decisions we ever made for her. I hope that, if you decide to homeschool your son, it’s as beneficial to him as it has been to my daughter. It’s absolutely a scary step to take, but it can be done. Blessings to you and your family as you make your decision about possibly homeschooling in the future! I think the thing that I made of the mistake of doing last year was being too structured & strict. I was so nervous about it being our first official year. I should’ve relaxed more. It was just Kindergarten! This year has been smoother for sure. Thank you for posting this, although I’ve been homeschooling for 6 years and was homeschooled myself. There were some good pointers! I especially like the reminder to “have fun.” I try really hard to stick to a strict schedule, but it’s good to remember to have fun! I just started homeschooling my six year old. I can honestly say I was worried I may have made a mistake by taking him out of school. 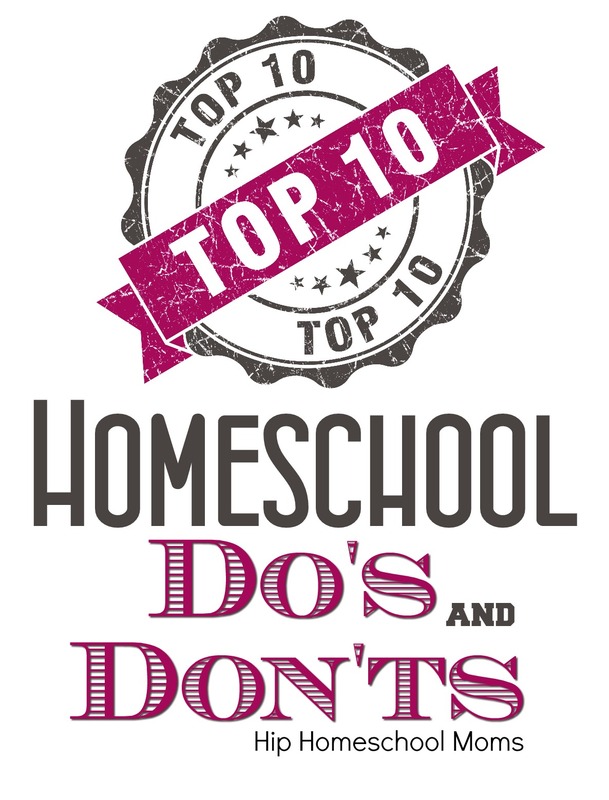 However, after reading this list and also speaking with other homeschool parents I am going to continue this path. Thanks for the encouraging articles. I’m so very glad to have encouraged you to hang in there!! I need to pray about and think through how to do a 4 day week. We are traveling most weekends and I need a day to get stuff done. Wonderful! I love the part about making sure to play! I’m so glad I found this site. We moved back to TN after my husband left active duty. We’ve been homeschooling ever since! Unfortunately, homeschooling isn’t as popular in my part of TN as it was in our previous duty station . There’s actually a bit of a stigma attached. It’s good to know that we can, at least, find like minds online! We’re so glad to be here to support you!! Such good reminders, thank you!! I really needed to read this today. Lol you all wrote that for me. I have one more don’t let your fake family, and friends pressure you to put them in school. So much good advice here! With the new school year just starting for so many families, the pressure is on – especially for moms who are just starting out on their homeschool journey. I think in many ways we hold ourselves to a higher standard because friends & family can come across like they just expect us to fail. It can be so stressful! We are going into our 8th year of homeschooling & while I know beyond a doubt that it is the right thing for us, I still have days when I feel like a failure & wonder how on earth we’re going to do this. Especially now that my son is in high school! I’ve been homeschooling for nine years and I really needed these reminders. Thank you! Wonderful, and timely advice! I would add (1) Don’t compare your family to other homeschooling families. (2) Don’t make homeschooling an idol. (3) What works for one child may not for another, which leads me to (4) Don’t purchase tons of material until you discover your child’s learning style. Thank you for the support and encouragement HHM! Great additions to my list!! Thank you! Shared on Facebook, Twitter, and Pinterest ? Don’t compare yourself to other homeschoolers. You have different students. Number 2 is so me! I always feel like I mess up. I have to keep telling myself to trust that they will need what they need to know even if I don’t feel confident in what I’m doing. Even after 6 years, I still have to give myself a pep talk. Thanks for this! I think it’s important to “Don’t compare yourself to others.” Even when we say we hate when public/private school parents tell us how wrong we are, we are quick to turn on each other and even think less or more of someone else’s schooling practices. Just school your own children well, and let the other moms do their thing! I love this! Especially number 5 and 10! I so needed to read this!!! We just started homeschooling last week for the first time ever. Since then I have been doubting just about everything I do with it. This however makes me feel like I’m gonna be okay and so are my kids. Thank you for this post!!! One thing I am learning. .. don’t look too far ahead in the material! I started in May with my Kindergartener, and I was flipped to the back of the curriculum that was picked out and panicked! How could I teach reading? What do you mean basic math skills? Now that I been at it for 4 months, I wish I could tell myself to go week by week, not to look ahead so far. Seems like I set myself up a mountain of stress, just for it to be a small hill. I realize my experience is still very wet behind the ears, but maybe this will help someone else wanting to try. I think this is a great list! Starting out, homeschooling can seem overwhelming, but it’s great to get advice and assurance from pages like this! ? I especially like #3. That is so true. I don’t ever remember finishing a textbook in public school but I feel guilty if we don’t in homeschool. Thanks for a great reminder! Thank you for these encouraging reminders! I plan to print these out and refer to them on days when I need it! My son went to public school through 4th grade, then we found a private school that he attended for 5th and 6th. Although it was the cheapest private school where we lived, we can homeschool him a lot cheaper than the private school so this year he will be homeschooled. We are going to do the Monarch on line program through Alpha Omega cause I won’t be able to help him with a lot of his schooling, since he is older. And we want something that is Christian based. When he was at the private school, he was doing the ACE paces, so I could help him some with his work. Also, another thing I’m not sure how to do is- I have a friend that homeschools her kids. Then my cousin is taking her kids out of public school and going to use the on line schooling. We want to get our kids together for field trips and outings: how do we make these outings go toward our schooling?